Welcome to this month’s CTMH Technique Blog Hop. If you have already started the hop, you should be coming from Melissa Robinson. 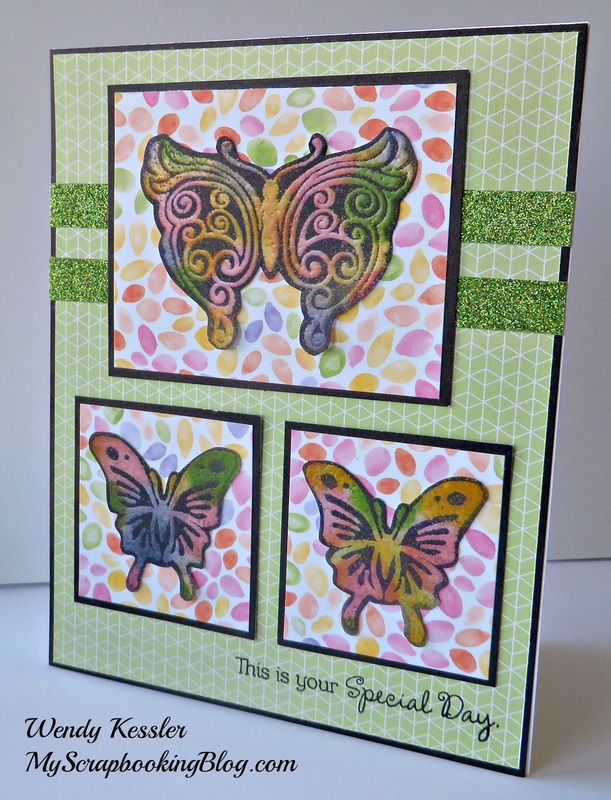 There are a few steps to how I did the stamping for this card. First with sponge daubers, I sponged different colors of ink on a scrap of White Daisy Cardstock. 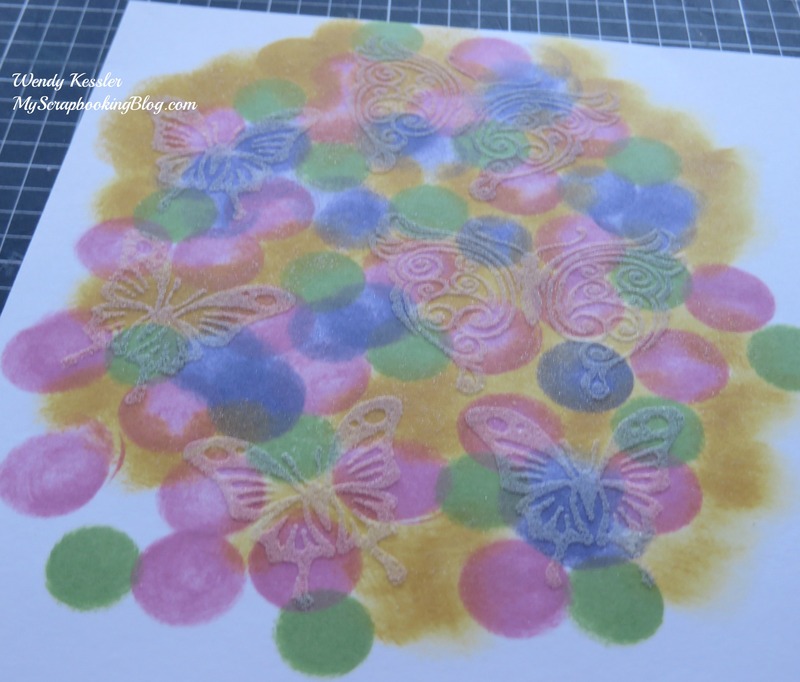 Next I embossed the butterflies (using Versmark Ink and Clear Embossing Powder). Then, I sponged overtop of everything using Archival Black Ink and wiped off right away with a Kleenex. Last, I trimmed the butterflies leaving a small border around the outside. I am so pleased with how this technique turned out on this card and even better is that it will be flat to mail! Supplies used are all Close to My Heart: Kaleidoscope Paper Packet, Inks (Pear, Cotton Candy, Gypsy, Honey), Archival Black Ink, Your Own Kind of Wonderful Stamp Set, Sponge, Sponge Daubers, Craft Heater, Micro-tip Scissors, Black Cardstock, Green Shimmer Trim, and White Cards & Envelopes. Love it!!!!!!! Gonna have to try this one! WOW… those butterflies are GORGEOUS!!!! Love your technique using sponge daubers and embossing powder. Sooooo Cooool!!! I love this and totally need to give this a try. Awesome!! Gorgeous! I need to try this with my club?